Dr. Janice Johnson Dias holds a Ph.D. in Sociology from Temple University with a specialization in urban and political sociology. Her research focuses on impoverished mothers and children. 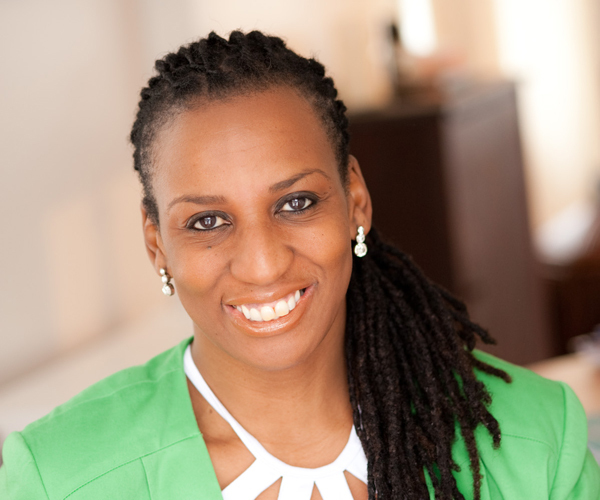 She is a recipient of grants from Robert Wood Johnson Foundation Active Living Research New Connections and the Research Foundation of New York to examine low-income Black mothers’ perceptions of neighborhood safety and the relationship to their daughters’ physical activity. Johnson Dias’ work is multidisciplinary and utilizes both quantitative and qualitative methodologies. Her research on welfare-to-work organizations has appeared in the top-most ranking policy journal, Journal of Public Administration Research and Theory. She has also published in well-respected sociological and psychological journals such as Gender and Society and the American Journal of Community Psychology. In addition to her academic work, Johnson Dias has extensive experience working with a diversity of social service and community agencies including educational institutions and social service organizations. Johnson Dias specializes in building collaborations dedicated to sustainable social change. She has extensive experience working with a wide array of human services agencies (private and public) including educational, employment and health institutions across the US; such experiences have facilitated her ability to bring together diverse stakeholders. Over the past two years, Johnson Dias has been working with community based organizations in Memphis, Tennessee and Long Island, New York, where she designed and conducted moderator training for facilitating dialogue and solution-building across multiple constituencies. Her work in Long Island on black girls’ mental, sexual and physical health issues earned the collaborative a special Congressional honor. Johnson Dias is a graduate of Brandeis University. She completed her postdoctoral study at the University of Michigan, Gerald R. Ford School of Public Policy, National Poverty Center.